These cotton backed hooded towels are one of my favorite beginner sewing projects of all time. 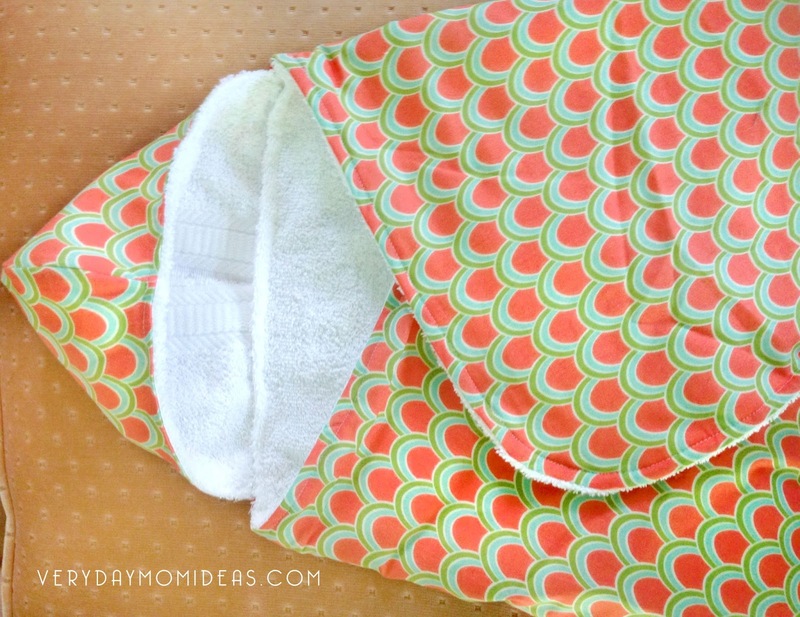 They are so simple and inexpensive to make and I love that I can customize them with fun fabrics. These also make the perfect baby shower gift because you can customize them to fit the expectant mothers theme and nursery and it only takes about two hours or less to make. I actually made mine a couple years ago when I was expecting my first daughter. This was a great beginner project for me to work on while I was growing and dreaming about the daughter I would soon be meeting. The tutorial I used was super easy to follow because she explained everything very clearly and there were a lot of pictures. Get the full Hamptons Hooded Beach Towel tutorial and supply list here at Pretty Prudent. She has created an easy step by step tutorial with tons of pictures to walk you through everything. 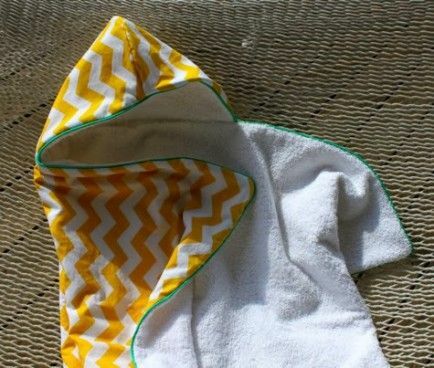 I decided to not use any piping in my hooded towel just because I wanted to keep it simple and piping just seemed a little too much for at the time. She also says that her hooded towel only took her 45 minutes. My first towel took me about four hours to make and then my second towel only took me about two hours. I cannot express just how much of a novice I am to sewing. 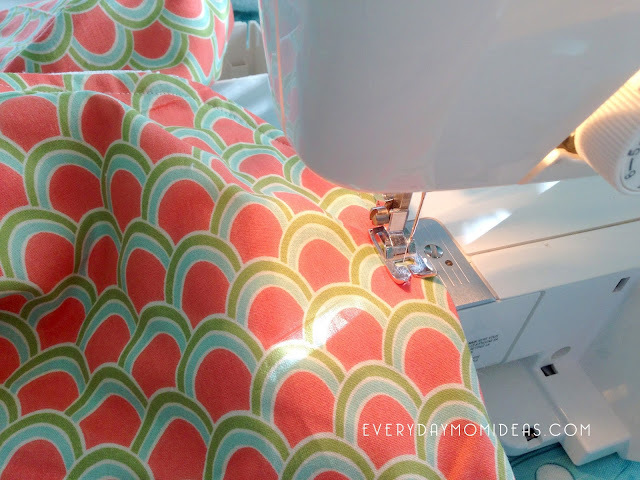 So If I can do it... just about anyone can do this sewing project. This is my sweet ten year old helping me pin the cotton to the towel. 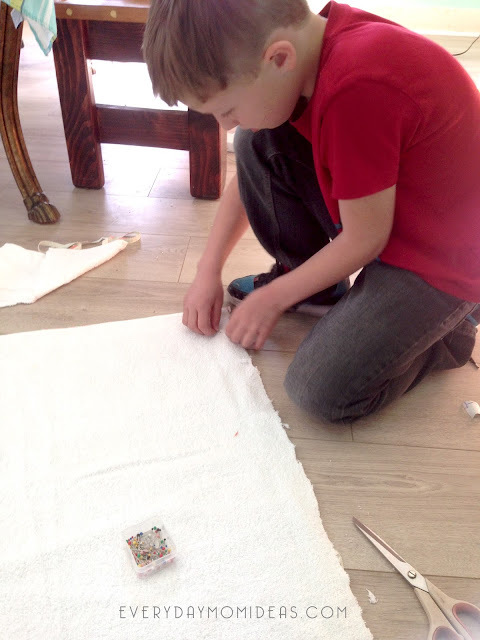 I try to always find ways to get the kids to help with whatever crafts, projects or recipes I am working on. It helps keep them busy, out of trouble and maybe I might even teach them something. 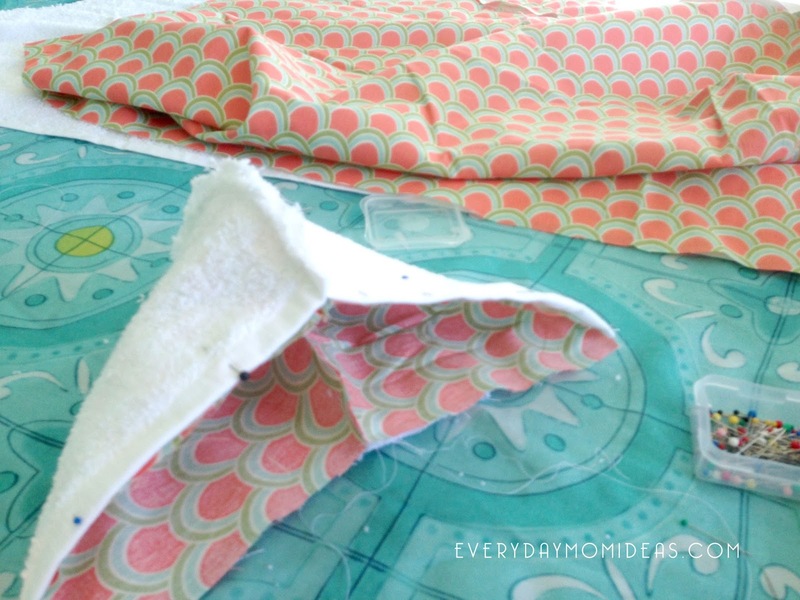 In the Pretty Prudent tutorial they used one regular sized towel and one yard of fabric. 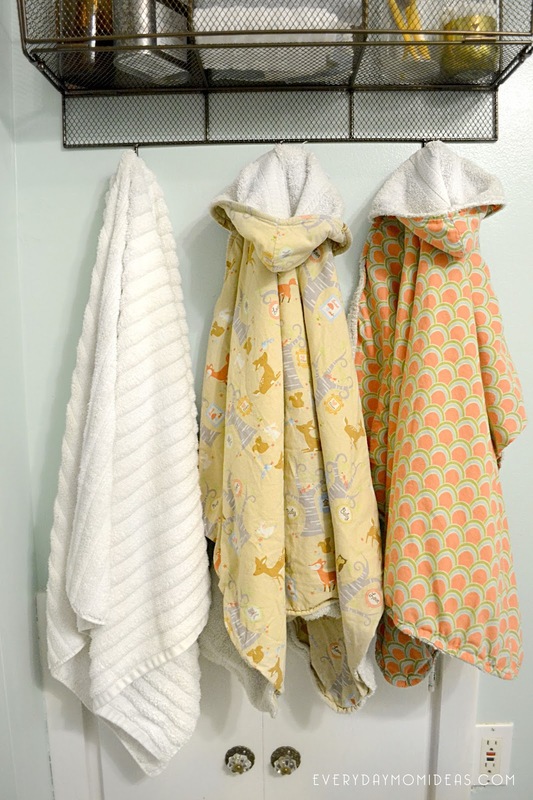 I decided to buy three towels and use one and a half yard of fabric on each of the two hooded towels I made because I could make the hooded towels a little bit wider. I am so glad I did because my girls still haven't outgrown them. I used the extra towel to cut the hoods out from and used a whole towel for the body of the hooded towel. Making the hood looks a little more complicated but it really isn't. At Pretty prudent they give you a free template to print off to use for the hood to make it easier for you. 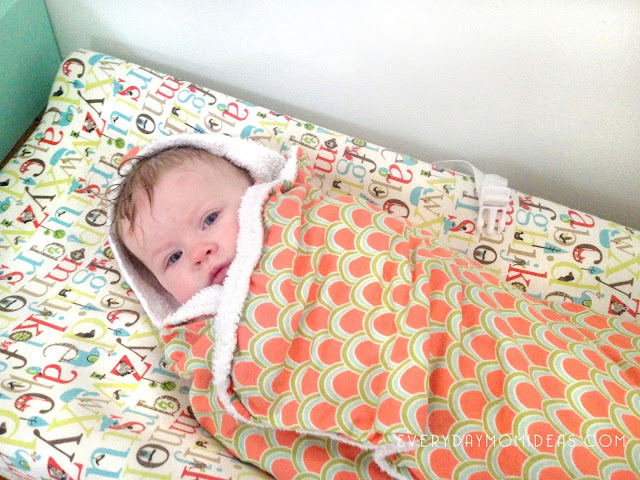 TIP: Make sure you print the template on full size not "fit to page" otherwise your hood will be almost too small for any baby. 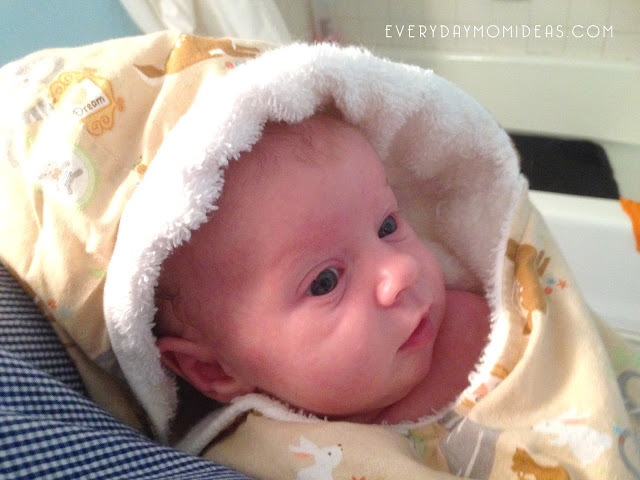 The only really difficult part about this project was sewing the hood to the body of the cotton backed towel. 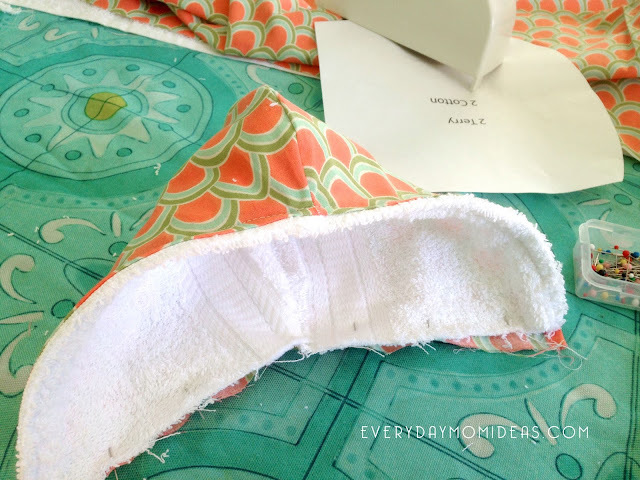 I ended up just hand stitching most of it to the towel because of how thick all the fabric is right there. She's so snug and cozy in this hooded towel after her bath. I always felt bad having to take it off her to dress her because she just looked so warm and comfortable in there like a little caterpillar. We have had these towels for almost three years now and they have been well used. We even had another baby last summer and have used them with her as well. The picture below is how they look now after all this time. 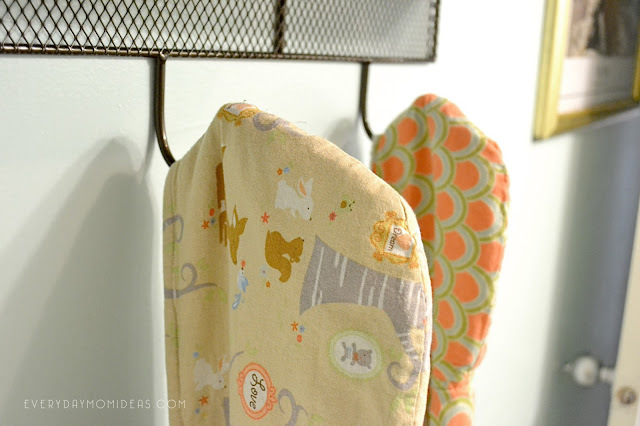 These are super sturdy hooded towels and I plan on making them for my friends and family when they have babies of their own. 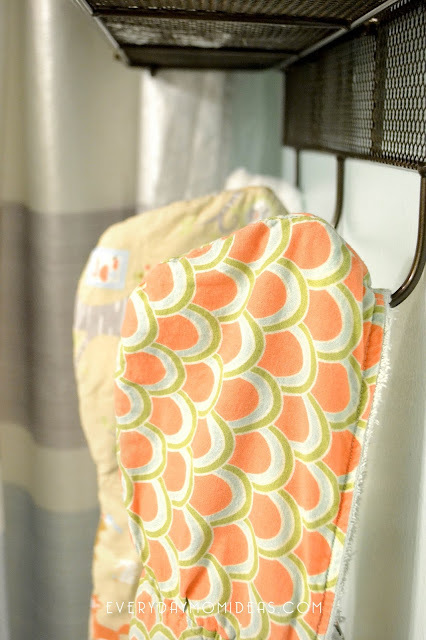 These have been a huge hit at our house and Im so excited to finally get to share this great project with you ladies. Hope you have fun with this project and please send me pictures of your projects so I can feature them on my social media sites. 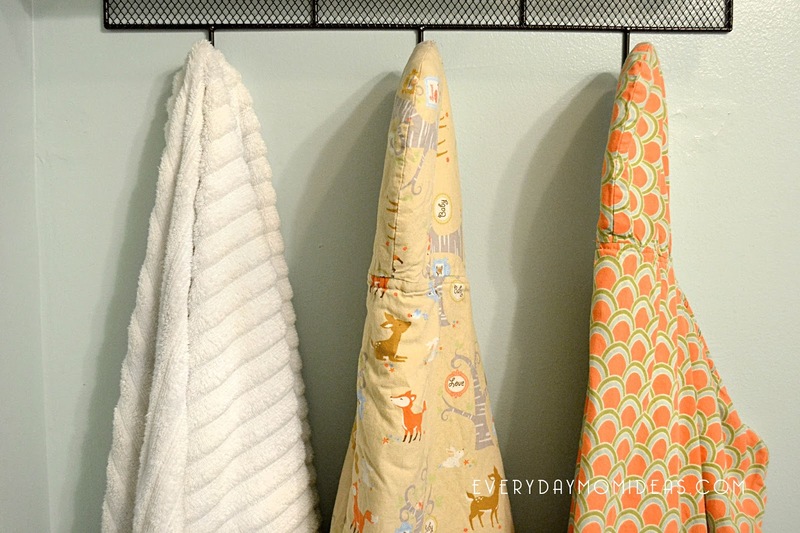 These cotton backed hooded towels are one of my favorite beginner sewing projects of all time. They are so simple and inexpensive to make and I love that I can customize them with fun fabrics. These also make the perfect baby shower gift because you can customize them to fit the expectant mothers theme and nursery and it only takes about two hours or less to make. The picture https://flashessay.com/dissertation-help is how they look now after all this time.